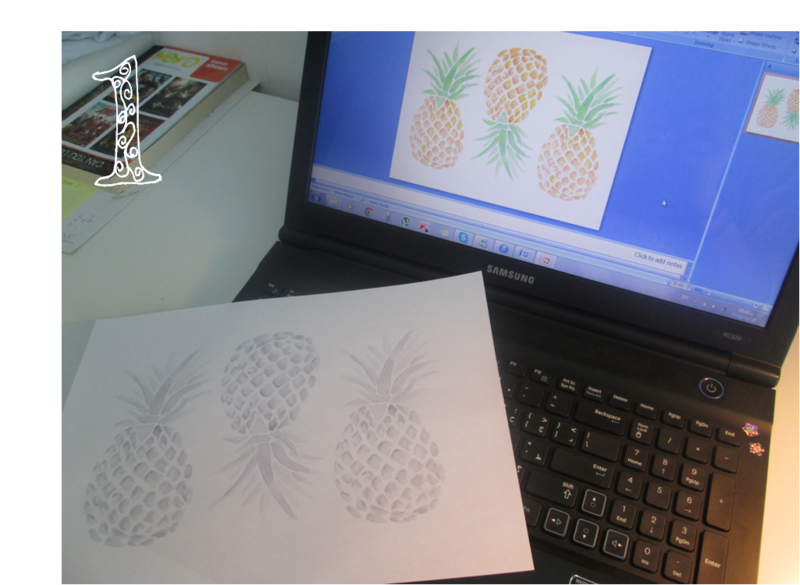 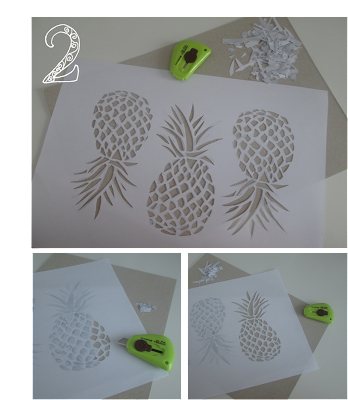 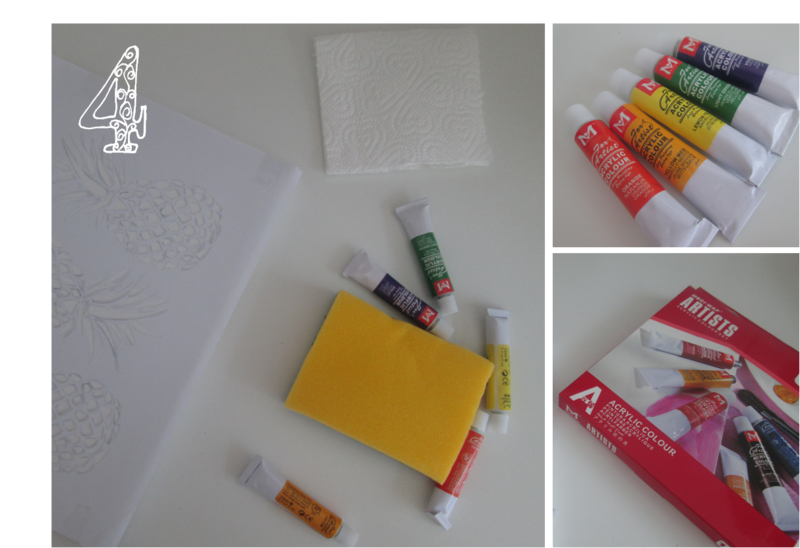 Find a picture of any pineapple and place as many copies as you want on the paper to help you place each pineapple correctly and accurately on the canvas. 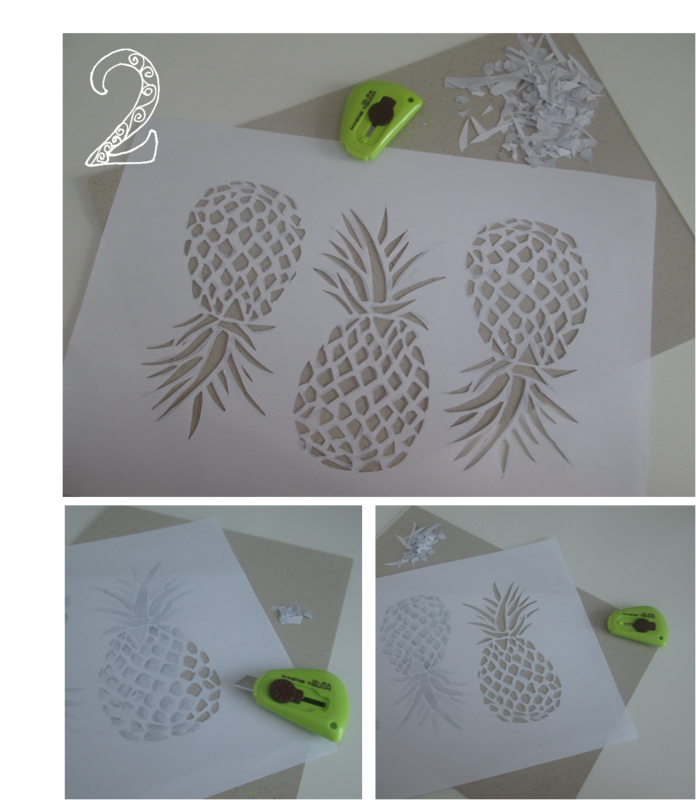 edit it, then print your paper once you are satisfied in grey scale, for you will be turning it into a template later on, and so no colors are needed. 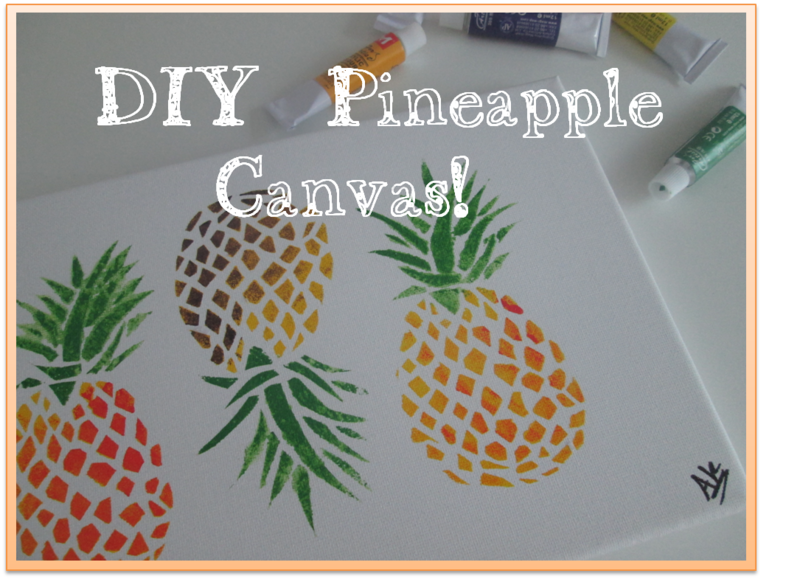 Choose the colors you want and get a sponge, and a toilet paper or a plate to squeeze some of the color out.. For this canvas, I used the colors above: red, orange, yellow, and blue for the pineapples, and green for the leaves. 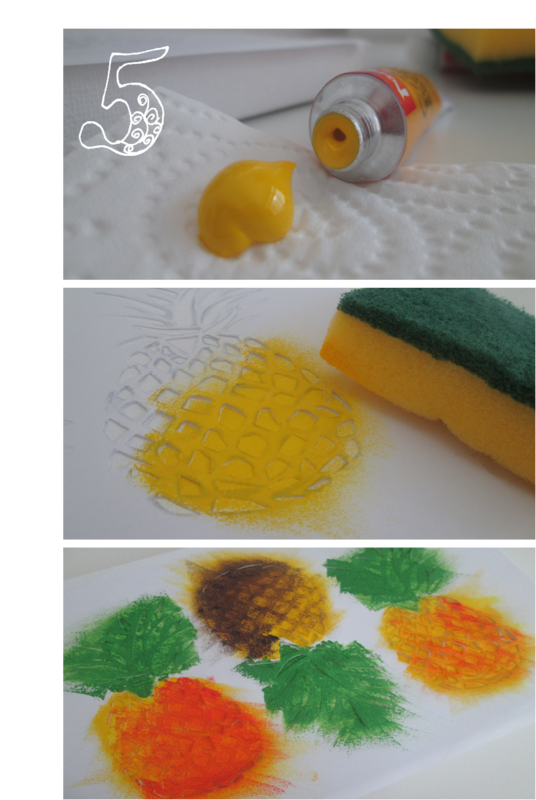 Dip your sponge in your desired color and fill in the places you cut before.. You can play with the colors and textures as you can brush the color against the canvas to give it a smooth look, or you can gently tap your sponge against the canvas to create a rough look.